"The Scot knows he can beat Federer here over the best of five after his thrashing of the Swiss in the Olympic final and with question marks over the rest of the ‘big four’ he looks a fine wager to me.."
The culmination of the mini-grass court season, The Championships Wimbledon, begins on Monday and the draw has taken place this morning for both the men's and ladies singles. It's been a good grass court swing so far for this column and at the time of writing my [17.0] tip Feliciano Lopez is still going strong as the tournament favourite in Eastbourne. Hopefully, that one will prove very profitable come the weekend and enable me to put more on my fancy for this year's men's singles, which has to be Andy Murray. A lot of unnecessary hot air was expended at the fact that the All England Club had opted not to bump Rafa Nadal up the seedings to number four at the expense of David Ferrer, but I don't think it's a bad thing to stick with the world rankings as they are. For me, Rafa has taken a hell of a lot out of himself in the last few months by playing (and winning) pretty much every clay court event going and the fact that he didn't bother to turn up in Halle suggests to me that the main danger to Murray (in my eyes) may not be in the right physical or mental shape for this. Rafa will still have scars from the pummelling he took at the hands of Lukas Rosol here on his last visit, although I doubt he believes his statements that a few rounds or a quarter final would be a good result for him with no preparation. Having won the title once, Novak hasn't looked overly fussed about grass court tennis since and has only had a knockabout at The Boodles as his warm-up on the green stuff. His first round opponent Florian Mayer reached the last eight here last year before losing to Djokovic, but as a first round opponent, that's tough and another German, Tommy Haas is waiting not too far down the line, as is Tomas Berdych and both have beaten Nole here before. Roger Federer has looked to me like he's lost some speed over the last season and he's just starting to look and feel his age, with what seems to be an ongoing back problem and I don't see him retaining his title this year. He did at least manage to win in Halle for the first time since 2008, but it was far from impressive and for me he is fairly easily overlooked in favour of Murray. I expect Andy's decision to skip the French Open to pay off this fortnight and even if it doesn't he's given himself the best chance by missing Roland Garros where he didn't stand a cat in hell's chance of winning the title anyway to be fit for here, where he certainly does. Murray warmed up for this as well as can be expected by winning at Queen's Club and more importantly perhaps there were no injury problems to report and he is in the best shape to launch another assault on this crown. 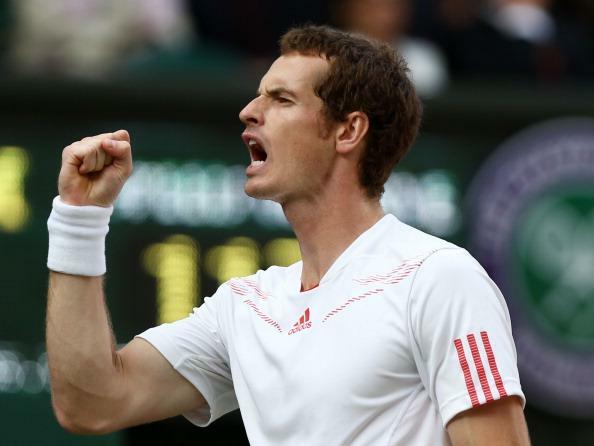 This year the Scot knows he can beat Federer here over the best of five after his thrashing of the Swiss in the Olympic final and with question marks over the rest of the 'big four' he looks a fine wager to me. Of the outsiders, David Ferrer has had the best of the draw along with Juan Martin Del Potro, but I just cannot have Delpo on grass and he's been in poor form and health and he doesn't appeal to me. He also got thumped by Ferrer in the fourth round 12 months ago and French Open finalist Ferrer appeals as a back-to-lay bet at around [90.0]. But Murray's draw to my mind isn't bad at all, with only Jo-Wilfried Tsonga or Marin Cilic looking capable of giving my fancy a match before the tough closing section of probably Nadal or Federer in the semis and then the final against possibly Djokovic.